Evernote is the journal that geniuses like Leonardo Da Vinci didn’t have. He fared well enough, but we can fare better by making optimum use of this popular note-taking app to achieve a fraction of what the famous Renaissance man achieved. Evernote is always improving with smart features and smarter uses 7 Clever Evernote Features to Streamline Your Workflow 7 Clever Evernote Features to Streamline Your Workflow We'll show you the best productivity features you never knew were hidden in Evernote. Read More . Thanks to the latest iOS 11 update, it now also incorporates Siri to help you add notes to your notebooks quicker. You simply have to activate it with your voice and create a new note, add to an existing note, or even add a reminder. To set up the Evernote and Siri integration on your iPhone or iPad, first go to Settings > Siri & Search > Evernote and enable Use with Siri. Voice notes are becoming popular now across many other note-taking apps, but the new Siri-to-Evernote bridge is a welcome plus for those of us who like to put down our thoughts on iPhones and iPads. What are some of the creative note-taking ideas you are thinking of with the help of Siri? Tell us in the comments. 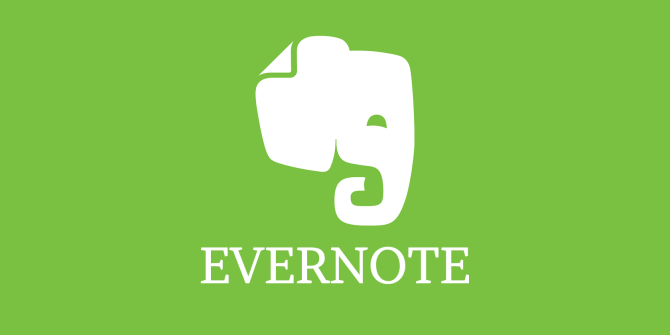 Explore more about: Evernote, Note-Taking Apps, Productivity, Siri.